Task Manager is a built-in Windows Manager which is used to examine the processes, performance, services and other details of a computer system. Every task executed or processed by the system or an application can be viewed in detail with the help of Task Manager. 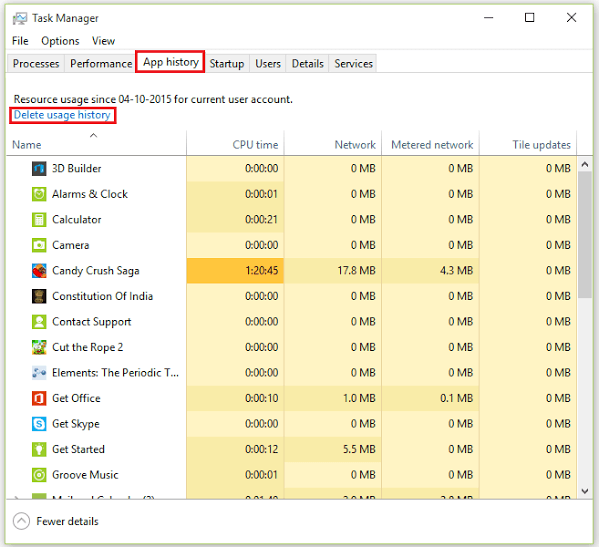 To provide user with the significant knowledge of installed and running applications, Windows 10 offers the feature “App history” in the Windows Task Manager. App history contains the factors of resource usage i.e. CPU time, Network usage, Metered Network usage and Tile Updates for the current user account. This feature is extremely useful when you are using a limited data plan as you can decide which app consumes more or less data. In this manner, you can remove the more consuming data apps which are least suited in your data plan. Deleting Usage History will clear all the resource usage data as all the factors will reset and start from the cleared history date. 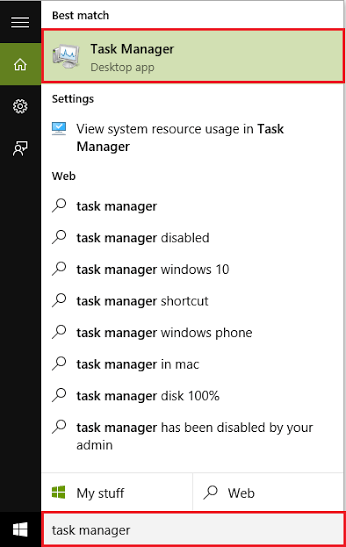 Type “task manager” in the Windows Search bar positioned at the bottom left corner of your screen. Alternatively, you can Press “Alt+Ctrl+Del” Keys at once and then click on “Task Manager”. In the Task Manger Window, click on “App history”. Now, click on “Delete Usage History”. That is it. The usage history of Windows Apps has been deleted from your system.